The absolute gall of this man! 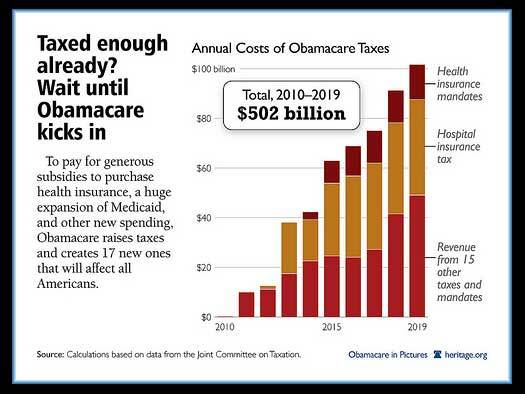 Far from being a historic tax cut, Obamacare actually qualifies as one of the largest tax increases in history. It contains roughly $1 trillion in taxes — on insurance plans, medical devices and investment income. And many of the taxes will end up falling on the middle class. The Obama Administration repeats this same lie on the official White House website.